Very large and bright complex over Lambda Cen (the bright star in the center). 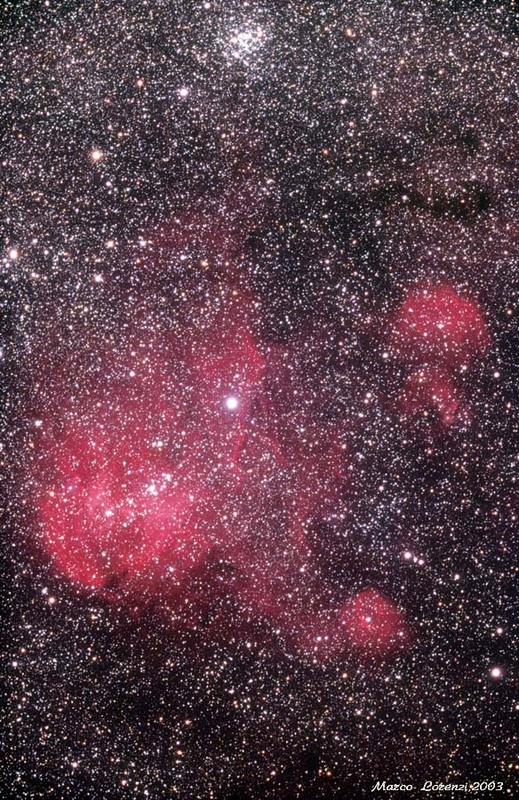 The red blob below the center is Gum41, the one in the bottom half is Gum39 which is joint to IC2872. The very nice open cluster close to the upper border of the image is NGC3766. All of the photographs and text on these pages are copyrighted by Marco Lorenzi. They may not be reproduced, published, copied or transmitted in any form, including electronically on the Internet or World Wide Web, without written permission of the author.